It may sound odd at first that Microsoft would be at Android's throat over PC operating systems, but indeed, it was recently discovered that Microsoft attempted to compel Google to provide its Android strategy, including information about Android's current abilities as a PC platform. The maker of the Nook, Nook Color, and, most recently, Nook Tablet has provided a supplemental compilation of artwork (which, believe it or not, includes entries related to things as old as Netscape and Mosaic), and is also seeking a letter rogatory to get evidence surrounding MOSAID, a Canadian firm in cahoots with Microsoft and Nokia in patent misuse. MOSAID has already indicated that it will not give anything up willingly. Barnes & Noble seeks documents and deposition testimony from MOSAID Technologies Incorporated (“MOSAID”), a patent licensing company, to be used at trial to defend against the allegations made in Microsoft’s complaint in this proceeding. Specifically, as part of Barnes & Noble’s affirmative defense of patent misuse, Barnes & Noble seeks the evidence requested in order to prove that Microsoft is improperly expanding the scope of its patents in an attempt to dominate mobile operating systems such as the AndroidTM Operating System (“Android”) that threaten Microsoft’s monopoly in personal computer operating systems. On information and belief, to further that strategy, Microsoft and Nokia Corporation (“Nokia”) and MOSAID recently entered into a series of agreements transferring approximately 2,000 Nokia patents to MOSAID in exchange for MOSAID’s efforts to license those patents (or sue those that do not take a license) and promise to pay approximately two-thirds of any royalties back to Microsoft and Nokia. Microsoft had previously entered into partnership agreements with Nokia, whereby one of the stated motivations for this partnership was to combine the parties’ respective patent portfolios and to coordinate their offensive use of patents to drive out open source operating systems, including Android specifically. Such conduct constitutes patent misuse, which renders the patents at issue unenforceable. On October 20, 2011, the Commission granted Barnes & Noble’s application for issuance of a subpoena duces tecum and subpoena ad testificandum requiring MOSAID’s United States subsidiary (MOSAID Corp. Ltd.) to produce documents and submit to a corporate deposition about the topics described in the Letter Rogatory, among others. In an e-mail with Barnes & Noble’s counsel on November 7, 2011, MOSAID Corp. Ltd.’s counsel stated that, “the transactions for which Barnes & Noble seeks related documents and information from MOSAID involved MOSAID’s parent company, MOSAID Technologies Incorporated, not the US subsidiary,” and that MOSAID would not voluntarily produce the requested documents but rather must be served with a separate international subpoena. 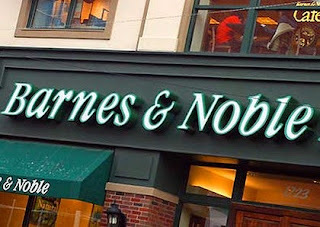 On November 8, MOSAID moved to quash and/or limit Barnes & Noble’s subpoenas, arguing, in part, that the subject transactions involved only the parent company and not the U.S. subsidiary and that Barnes & Noble was improperly attempting to obtain “documents and information in the possession of MOSAID’s foreign parent company” from MOSAID’s U.S. subsidiary. Accordingly, Barnes & Noble respectfully requests that the Administrative Law Judge grant Barnes & Noble’s application and recommend that the United States District Court for the District of Columbia issue Barnes & Noble’s Letter Rogatory to the appropriate judicial authority in Canada for international judicial assistance pursuant to Section 43 of the Canada Evidence Act or Section 60 of the Evidence Act of Ontario. Basically, B&N sought the same information from MOSAID's US subsidiary, and the company, MOSAID Corp Ltd., responded that they would not relinquish any information willingly, because it was the business of their Canadian parent company. Barnes & Noble clearly has no qualms about discussing the impact of MOSAID's dealings with Microsoft and Nokia, outlining the deal's gravity in their motion for a letter rogatory, which cites a series of videos in which execs from Nokia and MOSAID discuss the gravity of the Microsoft/Nokia deal, MOSAID's patent acquisition, and a statement by MOSAID's CEO "that litigation is 'highly likely' against potential licensees who fight the portfolio before being 'convinced to pay the sums that [MOSAID] will be asking for.'" With Quinn Emanuel joining Barnes & Noble's retinue of law firms aiding in defense, it is clear that the makers of the Nook family won't back down in the face of Microsoft or MOSAID. For more information, and links to B&N's compilation of prior art, MOSAID videos, and relevant bygone cases, check out Groklaw's take on the subject.